We first checked in at the Grand Pequot hotel to pick up our passes. When we registered for the weekend we got a welcome email about a week before telling us what to expect but also asking us to preregister for autograph and photo sessions and whether or not we wanted to take part in the Kids Clinic or add on a breakfast with Wally to our package. The preregistration was a great idea because it allowed us to select autograph times that were convenient to us. While there were 4 rooms per hour, and we didn't know which player/coach would be in which room, so we chose at random. While there were quite a lot of lines for the autograph sessions or player panels, everything seemed to run smoothly and the team was really smart to have some entertainment provided for fans while they waited in line. We also liked that you could use the MLB Ballpark app to get the schedule for the weekend at any time on your mobile device. The panels were amazing: we were able to relive the '07 world series championship as they brought head coach John Farrell, Tim Wakefield, and Jason Varitek to tell some inside stories from the season and answer fans' questions. 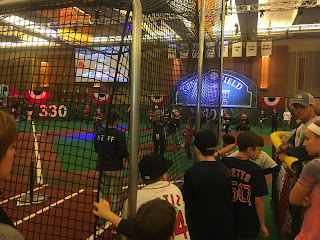 The other sessions were Call to the Hall which had Sox who were in the National Baseball Hall of Fame, a game show which had players play against coaches and even a press conference from the kids in attendance - those questions were the best and a few were absolutely hilarious! The fan fest in the Premier ballroom in Fox Tower had something for everyone and was open even after the sessions all ended so you could still experience it if you were in panels and getting autographs all day. 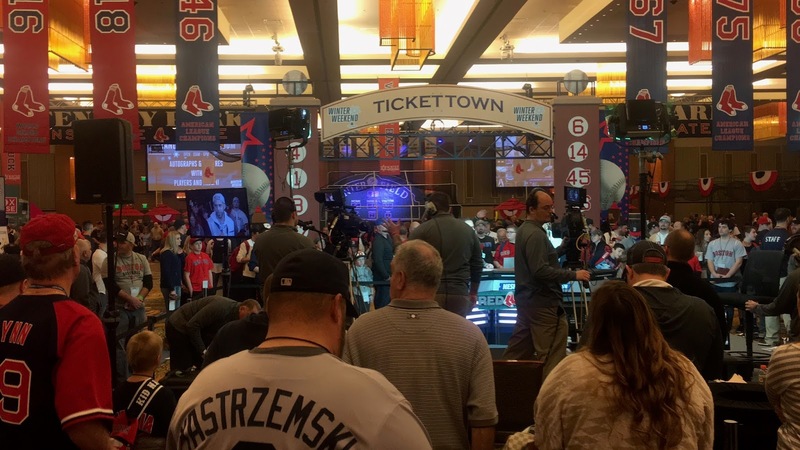 They literally brought the Fenway experience from Boston to Foxwoods: banners, David Ortiz' lego statue which is normally out in the kids' concourse, Mickey Mouse adorned in Red Sox logos and colors that usually is on the 3rd base deck, and silver bats and gold gloves. 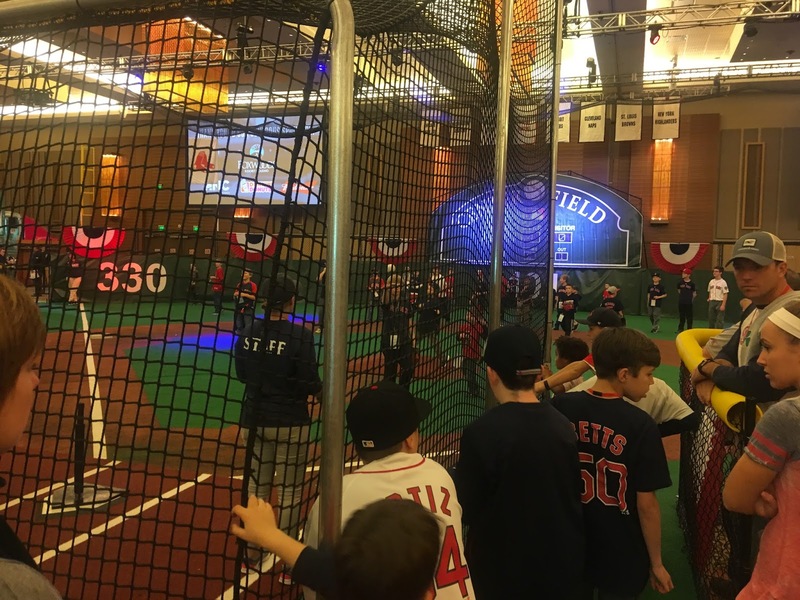 They had batting cages, wiffle bats for the little ones, a mini baseball field that kids could field balls, the Sox Showcase with Red Sox Virtual Reality, steal-a-base contest, NESN Clubhouse auditions and even the Team Store! NOTE: We were provided with passes to attend Winter Weekend at Foxwoods from the Boston Red Sox. No other compensation was provided and all opinions are our own.